Chick-fil-A opened its doors in September 2012. Chick-fil-A and it’s team does an outstanding job of doing their best. Not only does Chick-fil-A strive for excellence in food quality and preparation, but customer service and kindness is always a top priority whether this means surprising a customer who just told them they lost their job with a free meal or helping attach a placemat on the table for the mother with two toddlers. 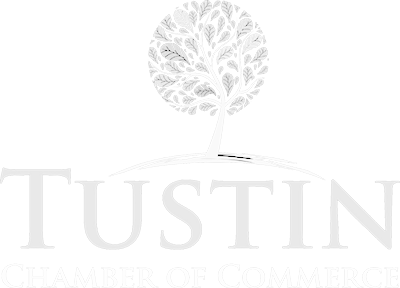 The support extends to the community through food donations as well as volunteer service supporting the Boys and Girls Club of Tustin, the Orange County Rescue Mission, CHOC Hospital, The Tustin Chamber of Commerce and a variety of schools’ in Irvine. Twice, Chic-A-Filet has hosted a Build-a-Bike event where 80 children received brand new bicycles and monthly held free craft and entertainment evening to promote family and community ties. The Tustin-Santa Ana Rotary is part of a global network of community volunteers dedicated to provide service, grant, and monetary support to our community. Tustin-Santa Ana Rotary undertakes project and activities to improve life in its community. “When club members see a need, they act!” The Rotary provides volunteers and/or monetary donations. They also sponsor cultural development, the schools, Tustin’s community beautification, fire prevention, home safety, or assistance to the aged and infirmed. The list is endless-limited only by the member’s imagination and desire to serve. Each year they recognize the Orange County police and firefighters, donate to Project 999 and the Senior Dental Clinic. They volunteer for the Tustin Chili Cook Off, Dino Dash, Sweetheart Luncheon, Tustin Tiller Days and the nationwide Rebuilding Together, which rehabilitates local homes so senior and disabled residents of Orange County can remain in their homes. At the annual Turkey Drive, they drive and provide turkey dinners to families in Tustin and Santa Ana. They provide grants to Big Brothers/Big Sisters, Disabled Sports, The CHOC Foundation and TACFA to name a few. Their motto is: Service Above Self.